Subcontracts may state that the subcontractor will be paid when the prime contractor is paid, or that the subcontractor will be paid only if the prime contractor is paid, and still others state that payment of the prime contractor is a condition precedent to the obligation of the prime to pay the subcontractor. 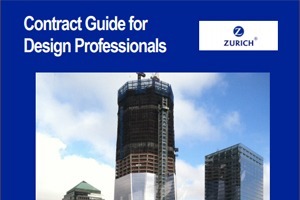 Where a contract provided that payment by the project owner to the general contractor was a condition precedent to the payment by the general contractor to the subcontractor, it was held that the use of the term “condition precedent” clearly and unequivocally shows the intent to transfer the risk of the project owner’s nonpayment from the general contractor to the subcontractor. Transtar Electric Inc. v. AEM Electric Services Corp., 16 N.E. 3d 645, (Ohio Supreme Ct., 2014). The question for the court was whether the use of the term “condition precedent” was sufficient to establish a pay if paid payment provision. The language in question provided: “Receipt of payment by contractor from the owner for work performed by subcontractor is a condition precedent to payment by contractor to subcontractor for that work.” The contract did not otherwise refer to terms such as pay-if-paid or pay-when-paid. The trial court granted the prime contractor summary judgment on the subcontractor’s claim for payment, ruling that the prime owed no contractual duty to pay the subcontractor since it had not been paid by the owner. This was reversed by an intermediate court of appeals that held that the payment provision was not specific enough to show that both parties understood and agreed that the risk of the owner’s nonpayment would be borne by the subcontractor instead of the general contractor. This was reverse by the Supreme Court of Ohio that found the language was clear and unambiguous in its intent to transfer the risk to the subcontractor. With regard to the express words “pay-if-paid,” the court found that “the use of the term “condition precedent” negates the need for additional language to demonstrate the intent to transfer the risk. When reviewing the subcontract payment provisions, a subcontractor might want to consider negotiating language to revise the pay-if-paid clause, or the condition precedent clause, to state something to the effect that “In no event shall the subcontractor be paid the uncontested amounts of any invoice later than [X ] days from the invoice date.” A pretty good argument can be made that the prime contractor should bear the brunt of the pain in the event that its client fails to pay since the prime was in the best position to exercise due diligence when entering into the prime contract to assure itself of the client’s financial ability. The prime contractor is likewise in the better position to address payment delinquency during contract performance and stop work within a reasonable time if not being promptly paid. Even if the subcontractor cannot negotiate an unconditional payment provision in the subcontract, we recommend that it insist on the right to stop or terminate its work in the event that it has not received payment of the uncontested amounts of an invoice within a specified number of days.